Ricoh’s workintelligent.ly blog is set up to help every major vertical and their Legal section is no different. They breakdown their Legal information into 3 categories: Practice Innovation, Risk & Security, and Legal Operations & Technology. Below is an article we would like to share with our readers from Stephanie Kurtz, Senior Manager, Advanced Services Strategy, Ricoh USA, Inc. and it falls under the Risk & Security category. In fact, hackers are attacking small- and mid-sized businesses precisely because such entities usually don’t defend themselves as well as large enterprises. Whether it’s the lack of IT resources or budget constraints, SMBs, including law firms, need to confront today’s threats head on. 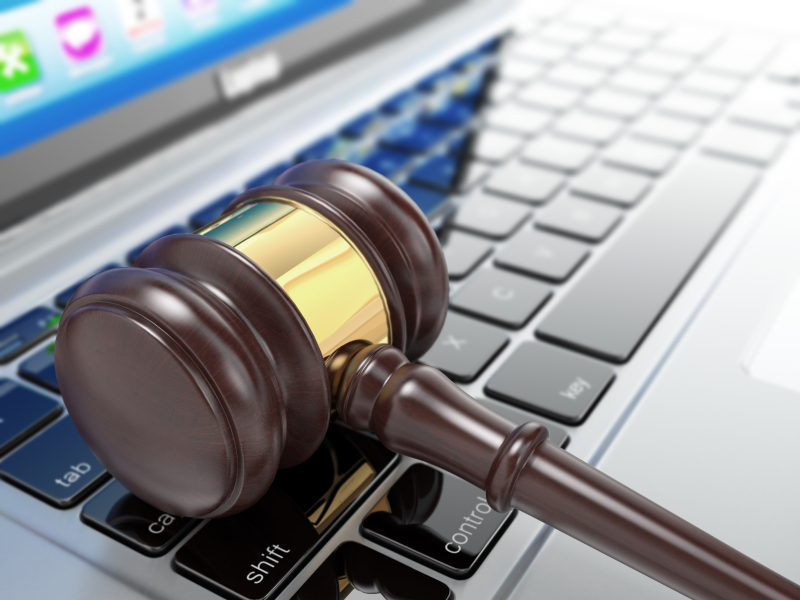 Breaches at law firms are not uncommon. An American Bar Association survey last year found that one in four law firms with at least 100 attorneys had experienced a data breach due to a hacker, website attack, break-in, or lost or stolen computer or smartphone. Meanwhile, the consequences of weak security could impact a firm’s business, as more corporate clients insist that their outside firms do more to safeguard sensitive information. Law firms are taking note. In the 2015 ILTA/InsideLegal Technology Purchasing Survey, 59 percent of respondents said security management was their top IT challenge. The issue topped the list, knocking email management out of the number one spot for the first time in eight years. To build a better defense, firms should review their data retention and security policies, ensure that both firm-owned and personally-owned hardware and software is well protected, and educate their attorneys on IT security best practices. Make sure your firm has and adheres to an appropriate data retention policy. In its code of conduct, the ABA has published general guidelines on how long attorneys should hold documents (see Model Rule 1.15, 1.16 (d) and DR 2-110 (A)(2)). Unlike most businesses, which typically retain documents for seven to 10 years, law firm have complex retention policies B because of their fiduciary duty to store, manage and maintain certain types of documents, such as wills and living trusts, for specific periods of time. Careful monitoring of when documents and email may be deleted is an important part of data security because hackers can’t steal data that your firm no longer has. Another benefit is that it limits the information that may be subject to a discovery motion. If your firm retains information beyond what’s required, it can create additional risk for the firm. Your retention policy should also follow best practices about the storage of data. Sensitive data should never be transferred onto thumb drives, which someone can easily drop in their pocket and walk out the door. Nor should it be kept on the hard drives of attorneys’ individual PCs. Rather, sensitive data should be stored only on secure servers at the firm or its vendor. In an ideal world, all sensitive data would be kept only on secure servers and never on individual devices, or end points. In practice, however, attorneys carry important documents on and access potentially sensitive email using desktops, laptops, tablets and phones. Each device should have anti-virus and intrusion-detection software. The IT department should make sure that all application software, operating systems and browsers are kept up to date and incorporate the latest patches issued by their vendors. Each device should include encryption capabilities both for storing data and transmitting it. Make sure to address the weakest link in data security – human beings. Teach them when and how to encrypt data. According to the ILTA survey, nearly 35 percent of firms had no standard policy or requirement to encrypt data when it was transferred out of their litigation/practice support group. Educate everyone in the firm, including staff, attorneys and senior partners, on end-point security best practices. All should understand, for example, why they should never click on links or attachments unless they know who is sending them. Even senior business executives or law partners are susceptible to social engineering hacks such as phishing, as the horror story described in step four illustrates. Design, implement and enforce a BYOD policy that lays out what type of devices are allowed and how IT will secure these devices. Increasing use of personal mobile devices for work has opened up a new threat to security. Especially when using tablets or phones, attorneys may not realize they are exposing sensitive data. If their phone is lost or stolen, a bad actor could potentially use the attorney’s log-in credentials to access the firm’s network and install a Trojan horse undetected. Once in, the thief can steal information immediately or just lurk in the background and cherry-pick specific data. By bringing a fresh eyes, an outside technology consultant can be helpful in reviewing your retention policy and evaluating your security stance. Through vulnerability testing and gap analysis, a consultant often identifies areas that have been overlooked or need updating to the latest technology. It can re-mediate problems, recommend improvements and help you deploy a sound security strategy, using the proper tools, to protect digital data from increasingly inventive hackers. This is a complete and helpful guide for such a law related person like me. your effort is highly appreciated and welcomed. and i agree the point that a consultant is still necessary that could give you best suggestions on time. Amazing and very, very helpful content article thanking you for the amazing blog post. Good information you shared. Since payroll is very common in companies and it need to maintained properly. Many corporate companies using payroll management software and outsource payroll Services small work so that they can concentrate on other organization development.